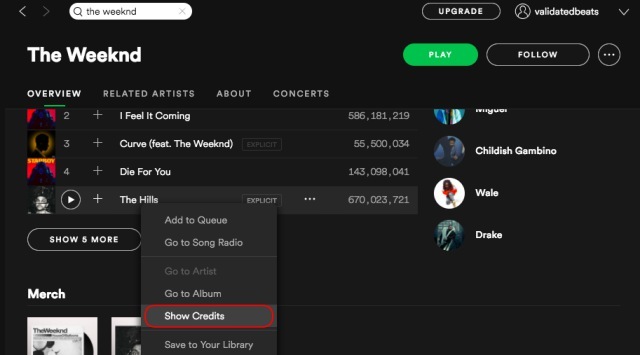 Spotify is finally making one of the most requested features available on its widely-used music streaming platform. It’s now allowing music artists to give credit where its due by introducing a new “Songwriter Credits” feature. According to the official blog post, this feature will initially be available only on Spotify’s desktop apps – both Mac and Windows. Instead of just focusing on the artist, you’ll now be able to view who’s helped write and compose the track as well. 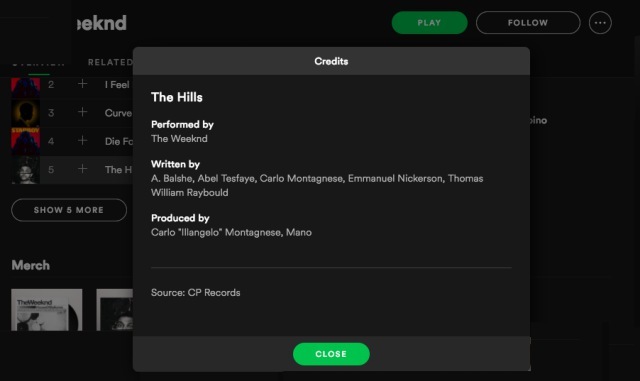 The songwriter data will not be shown for all tracks from the get-go because Spotify has currently compiled and added metadata provided by its partner record labels. They might also be incomplete in some cases. But, the company will invest more time to gather more info and make the credit window more functional. With the newly launched credits feature, we aim to increase songwriter and producer visibility and, in turn, foster discovery among new collaborators, industry partners, and fans. Note: I tried out this feature on Spotify desktop app, version 1.0.73.345.g6c9971ef, on my MacBook Air running macOS High Sierra 10.13.3. 1. It is quite simple to check out the credits for any song. You just need to navigate to the soundtrack, right click on the song to see the overflow menu and select the “Show Credits” option. Though quite late, it is a smart move from Spotify as it hasn’t had the smoothest of relations with songwriters and composers. A multitude of them have gone ahead and accused the streaming giant of not paying them or licensing the use of their music. Spotify had to shell out millions of dollars to settle these lawsuits. The ‘Songwriter Credits’ feature will ultimately help build trust in its platform among music publishers, especially when it plans to go public really soon. Also, it is a great move to streamline the credits issue and avoid any multi-million lawsuits in the future.